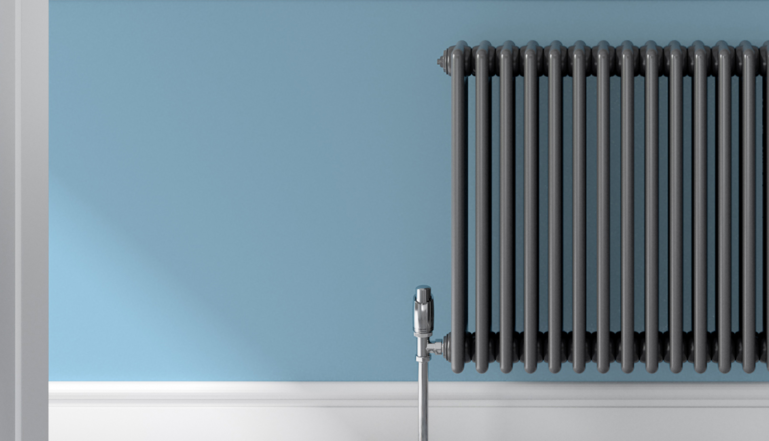 Any doubts that coloured radiators are becoming mainstream in the UK heating sector have been blown away with the arrival of the Henrad Column Colour Concept radiator – a 600mm high, traditional column radiator that is now available from stock in slate grey. The new radiator has joined the phenomenally successful Henrad range and begins the process of seeing coloured radiators available from stock, anywhere around the UK within 72 hours of order. Until now, radiators have been available in up to 35 colours but there has been an order delivery delay of up to eight weeks as they were specially made for the customer. To paraphrase the famous quote by Henry Ford, that you could ‘have a Ford car in any colour so long as it was black’, radiators have traditionally been available in any colour so long as they were white. But over the past couple of years the demand for coloured radiators has been on the up and Henrad has been happy to respond to the new trend with multi-coloured options available for a number of their products.